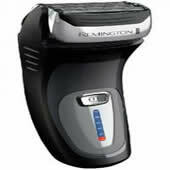 I bought this Remington razor because I have Rheumatoid Arthritis in my hands and was finding it difficult to shave. This Razor has been excellent and makes shaving much quicker and easier for me. A good razor at an excellent price.